Season the Halibut Filets with Salt & Pepper Mix. Dredge the meat side into flour to coat. Gently brush the soft butter over the flour to create an even coating from edge to edge. It is also known as Northern Halibut. Alaskan Halibut is lean, mild, delicate and sweet meat fish. It is snow-white color when cooked. The texture is firm and flaky. Fresh season is March 15th-November 15th. Alaskan halibut is the world’s premium white fish. It is long-line harvested in the deep waters off the coast of Alaska. Halibut are bottom dwellers and can grow to be over 500 pounds. Alaskan Halibut is flown in directly to us on a daily basis. 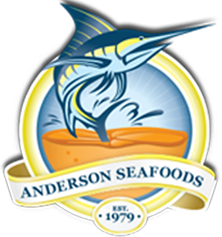 Each Fresh and Frozen (Finfish item) comes in standard packs containing 2 pieces of either 6 or 8-ounce portions.